Find traffic safety facts and distracted driving stats from the National Highway Traffic Safety Administration. Distracted driving diverts attention from the road. Learn more at distraction.gov. OpEd in the Vineland Daily Journal about the difficulty of stopping drivers in New Jersey from using their phones while behind the wheel. 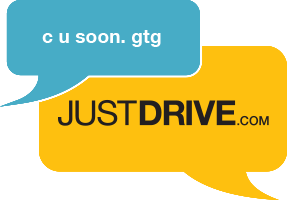 Letter to the Editor about the power of the Just Drive campaign and the need for drivers to put down the phone and JUST DRIVE. So far this court year, Evesham ranks sixth statewide in the number of tickets issued - 539 - for people caught driving while using a cell phone. Distracted driving contributes to 58 percent of automobile crashes involving teen drivers, according to the AAA Foundation for Traffic Safety. The Department of Licensing and Safe Roads Alliance provide parents and guardians with a plan to help teens develop safe driving habits.